Did you miss Chef Fabio Trabocchi of the Ritz-Carlton’s Maestro in Tysons? Well, miss no more. He will be occupying the former Le Paradou space for his new Italian restaurant. The gourmet restaurant will serve about 140 diners at this Penn Quarter location and feature staples from his native region of Le Marche. It calls itself accessible, so hopefully will buck the trend when it comes to Italian restaurants getting just too pricey in the area. Move over Chef Spike, another Top Chef is moving in! 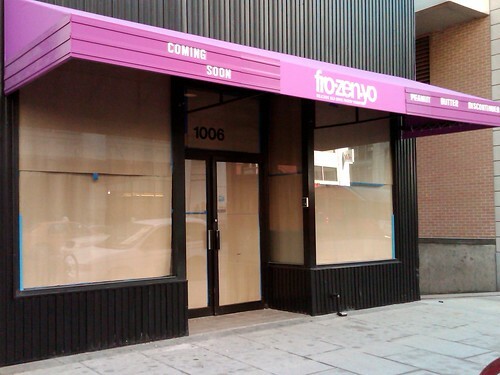 Chef Mike Isabella is set to open Graffiato right behind the Verizon Center, so hopefully this will help 6th St some. He’ll be serving seasonal pizzas and small plates like roasted potato gnocchi and stretched mozzarella. Expect an open charcuterie bar on the second floor and a woodfire oven behind a U-shaped counter with 15 bar stools on the first. Food, wine and beer will be sourced domestically…can’t go wrong there. You don’t have to get dressed up to go here, attire is casual and prices are mid-range. Yes! If you like the Latin-Asian Masa 14 in the U St., neighborhood, owners and chefs Richard Sandoval & Kaz Okochi (also of Kaz Sushi) hope you will try out their still unnamed Mexican taqueria. Expect three floors and a rooftop. If you’re in Penn Quarter and already have a hard time deciding where to dine, well, we’re throwing yet another restaurant into the mix. Joining the building that already hosts Ten Pehn and Central Michel Richard is Elisir by Chef Enzo Fargione. The former Teatro Goldoni chef will bring us a 4,000 square foot Italian restaurant that will seat 90 people in the dining area, around 25 at the bar, and 20 in a private room. The design sounds magical with a glass-fronted wine cellar. Publicist Janet Donovan tells me the desserts will be to die for. Yum. It’s been more than 2 years since we first heard of Georgia Avenue Meeting House, in fact, Chef Gillian Clark tells us that her other restaurant (Kitchen on K) will be ready before this Georgia Avenue spot. That means she’s just giving us a lot to look forward to in this long wait. Clark is still in the middle of the permitting process, but tells me the restaurant will serve soul food, even turtle soup and frog legs. If you want to try Clark’s food now just head up to the General Store in Silver Spring and get some fried chicken. And we’re still talking burgers! What I already love about Shake Shack is that it will be housed in the former Fuddruckers; there has to be some kind of luck with that, right? Shake Shack first opened up in NYC’s Madison Square Park, and according to its website it’s “a modern day roadside burger stand, serving the most delicious burger, hot dogs, frozen custard, beer, wine and more!” Look for Shake Shack to use local ingredients — you can never go wrong with that. So we have Bobby Flay’s “palace” coming to DC and Xavier Cervera opening his oyster bar on 8th St, so what about this Pearl Dive Oyster Palace? Sounds like a hit to me. The two story, Southern-inspired venue will have a oyster bar (obviously) and a 75 seat dining room according to Tom Sietsema of The Washington Post. An upstairs bar with a bocce ball court will be named Black Jack. This all comes to us from Jeff and Barbara Black of the Black Restaurant Group. I’m jealous of Logan Circle…why isn’t my neighborhood this trendy? Visit Facebook to track the progress. Washington Post food critic Tom Sietsema reported last year that DC restaurateur Xavier Cervera would be opening up his fifth location later this year. This still unnamed restaurant will be a combination smokehouse, bakery and wine venue, and will offer sandwiches, charcuterie and cheese plates. At least Cervera won’t have to travel far going from Molly Malone’s to Lola’s to the Chesapeake Room, to Senart’s, to Unanamed. My head hurts. What could be better than a chef owning his own restaurant. In this case James Beard award winner Chef RJ Cooper plans to open Rogue24 and offer pricey 24 course tasting menu for a fixed price (Vidalia anyone?). Diners can look to spend $130/$140 for non-alcoholic beverage pairings and $170 for alcoholic beverage pairings at this Blagden Alley location. In a press release Cooper said that eating at Rogue24 would prove to be an “emotional experience.” I will definitely be there on opening day to find out exactly what that means. What are you supposed to do once you revamp an old dry cleaners? Well if you’re part of Mark Whisk’s The Whisk Group (and Abdo Development) you make it into a pizzeria/bakery. Think wood-fired pizza meets deli, and you’ve pretty much nailed this fun concept. If you’re looking for something a tad more upscale from the developers of Italian Shirt Laundry, go south on 14th St. until you hit Italian Cinema. This restaurant will feature pasta and charcuterie, and will also screen Italian films. Go here if you like small plates and the exposed-beams look. 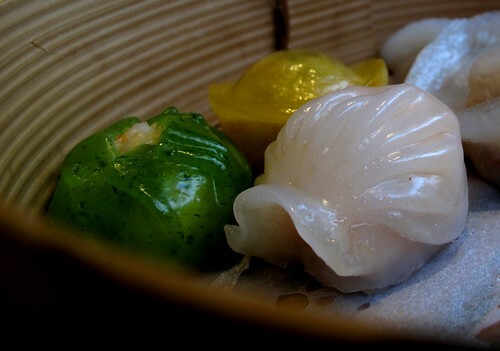 Prince of Petworth reported just a couple of months ago that this popular dim sum restaurant will soon have a second location in DC, Dupont Circle to be exact. Ping Pong has made quite a name for itself with its Chinatown operation and “little steamed parcels of deliciousness.” They also have a killer happy hour. Word has it they’re already eying a third location. When you think of U St. you might think of Marvin (and our Rahm Emanuel, of course), and now the team behind Marvin and The Gibson are bringing you a gastropub at the vacant building on 9th and U St. Just around the corner from the famous 930 Club, Ian and Eric Hilton hope this English-style gastropub will turn into yet another lively bar. Like fish and chips? This might just be your place. Looking for some more Hilton brothers, well, you will soon be able to head to Blackbyrd Warehouse. The venue will be a coffee shop/performance space. The Hilton brothers seem golden on U St., plus now they’re building a place in Petworth. More to come. Oh literacy. Later this year, the brains behind Clyde’s Restaurant Group will open a 35,000 square foot restaurant at the site of the Borders on 14th and F St NW. The 2 story building across from the Willard will offer sushi, a raw bar, and live music according to The Washington Post. This might just be the place to go once you’re inevitably turned away at the chain’s popular Old Ebbitt Grill if you even try to go sans reservation. 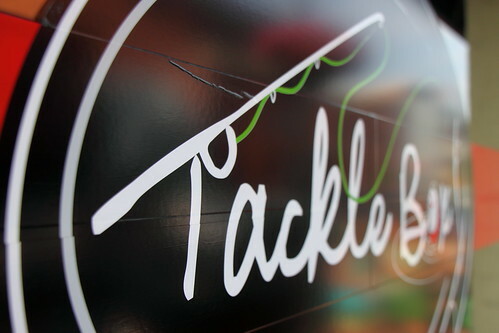 DC’s second Tackle Box will make its way to Cleveland Park and into the mammoth old McDonald’s location. Like the smaller Tackle Box in Georgetown, the 4,000 square foot casual locale will have a raw bar, lobster rolls, and fried clams. You still place your order at the counter. This location has been empty for quite some time, so let’s all hope “DC’s first and only lobster shack” succeeds. Note: Tackle Box’s Jonathan Umbel of Pure Hospitality Group also owns Hook in Georgetown. A former Top Chef with a burger joint…sound familiar? Last year Chef Richard Blais wrote on his Twitter account that the Atlanta-based eatery would be coming to DC, and last month the restaurant’s Facebook page stated that a DC Flip would be “on the horizon sometime in 2011.” If you’re already dreaming about “fine dining between two buns,” zucchini fries, nutella milkshakes, and more, for now all you can do is look at the website. Chinatown is waiting. Last year the then-WCP‘s Tim Carman reported that Jackie Greenbaum, the mind behind Jackie’s and Quarry House in Silver Spring, would open up a Mexican restaurant in Columbia Heights. The 800-square-foot location is at the site of a former liquor store and will serve regional Mexican food plus snacks via the LA food scene. All dishes less than $15 a plate! Wow, there’s a lot coming to Barracks Row. At the site of the old Capitol Hill Sporting Goods will be 8th St. Bar & Grill. Sounds like it will be a tavern featuring American cuisine, plus bands playing jazz, blues, and Rock & Roll. Ping Pong can’t move into the current location in Dupont and have a liquor license due to the West Dupont Circle Moratorium’s cap on CR licenses. I would be happy to hear your thought on the matter (positive and negative) this Wednesday, January 26 at 7pm at the Church of the Pilgrims. Or through contacting me to submit written comments.